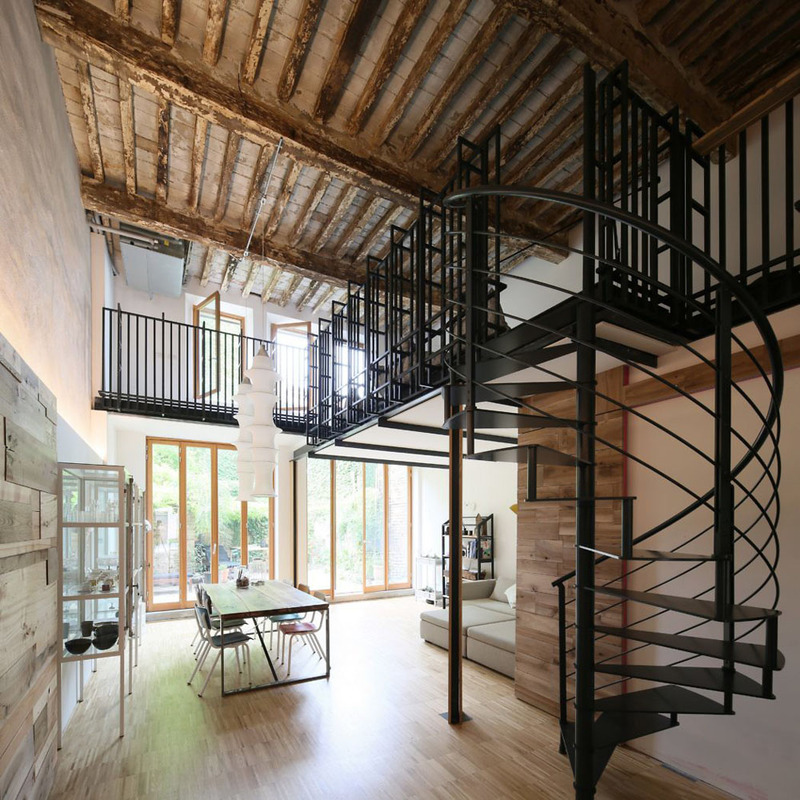 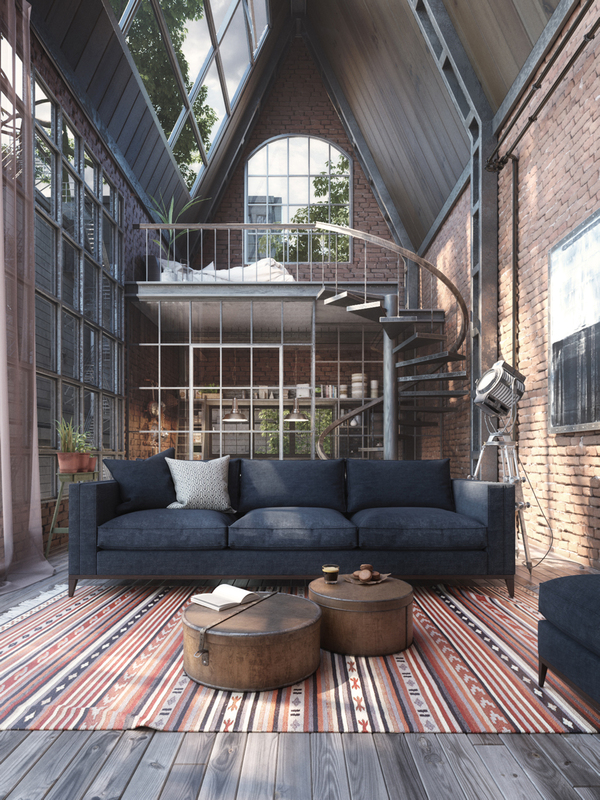 This is a render of a loft space with a spiral staircase in a brick house by Daniela Bringas. 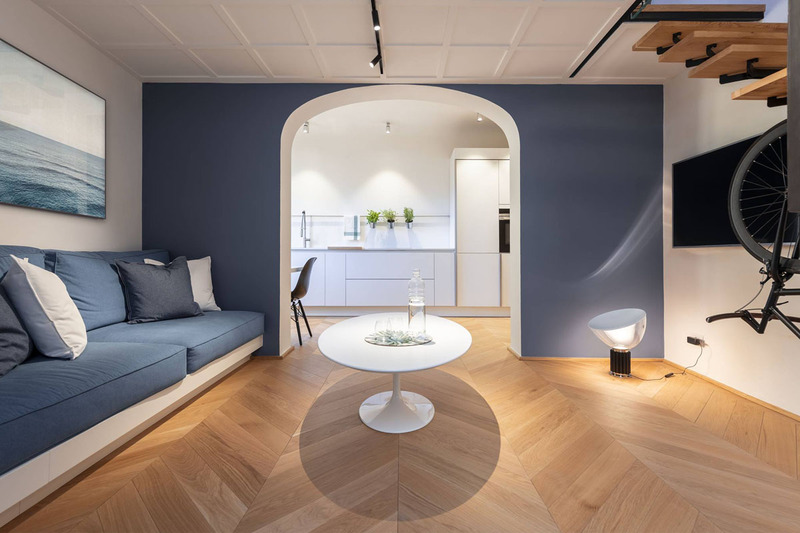 This 645 sq. 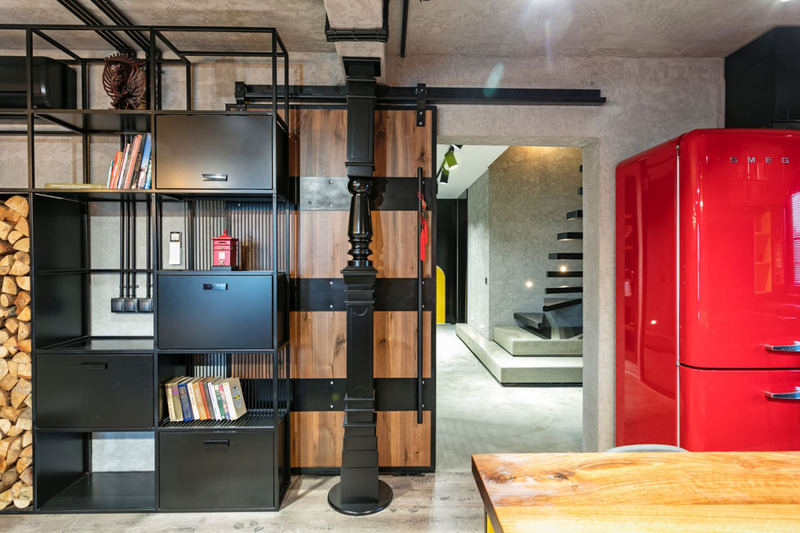 ft. double-height studio apartment has been completely reconfigured including a upper sleeping loft by Pierattelli Architetture. 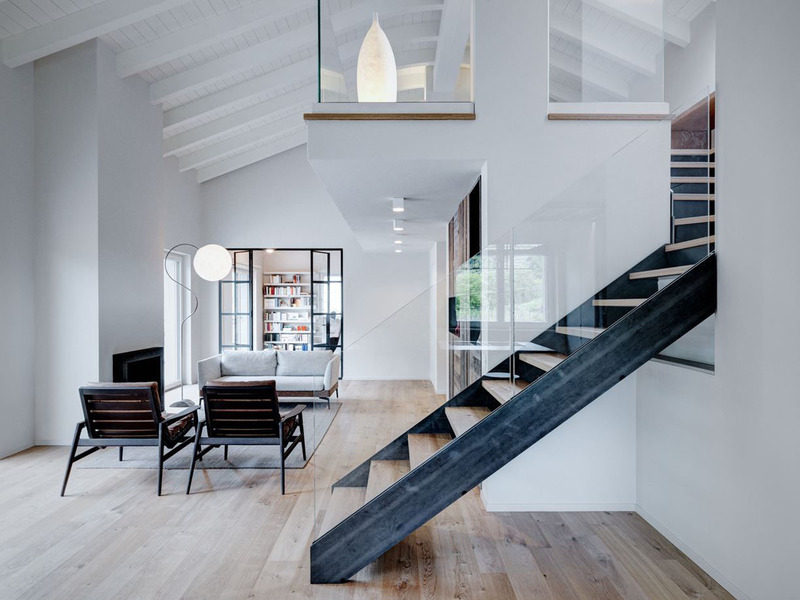 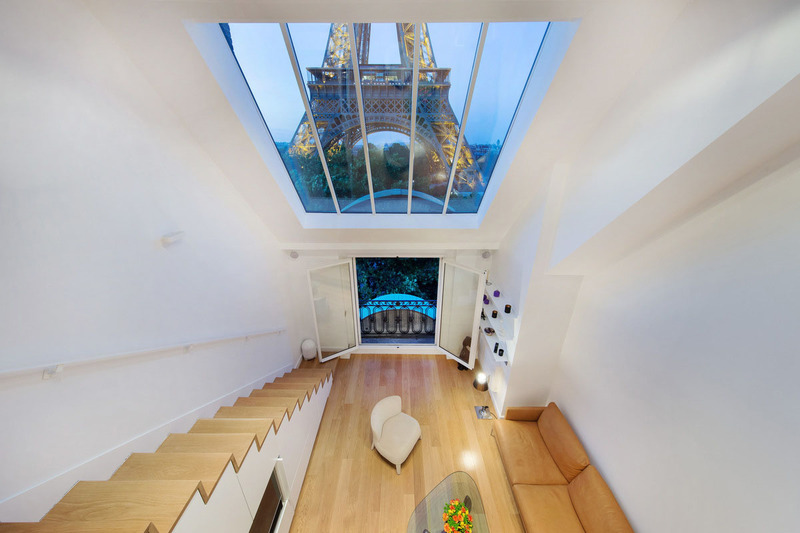 This 1,000 sq.ft. 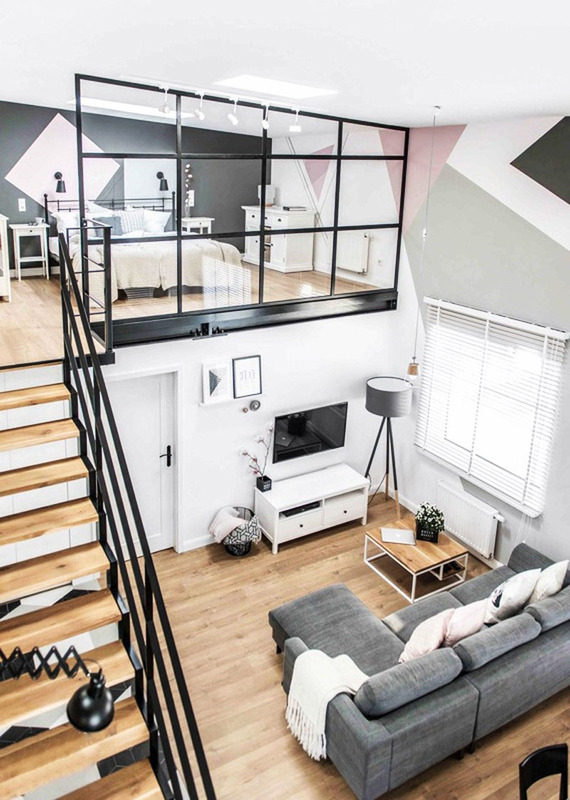 loft style apartment in Poland designed by Shoko Design has an open floor plan with mezzanine. 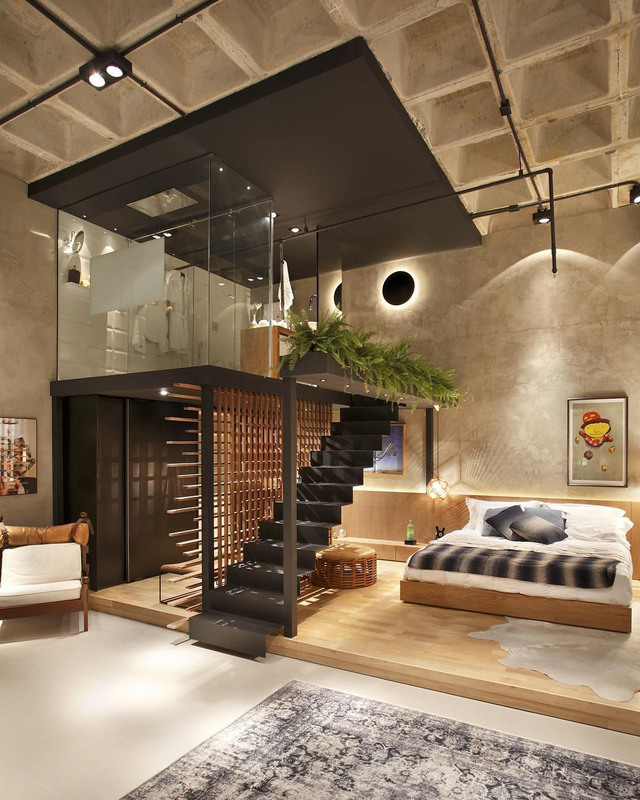 Casa Cor is a chic modern loft in Rio de Janeiro, Brazil designed by Intown Arquitetura.